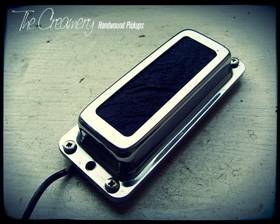 I wanted to make hum-cancelling versions of my replacement Ric® Pickups and after working on many designs I just found the final sound was moving too far away from what makes Rickenbacker® guitars unique. So I simply went back to the drawing board and designed these, a dual hidden Alnico blade design based on each of my Ric® style Mid '63 Single Coil pickup. Essentially a hum-cancelling version of my Mid '63 - slightly fatter, crunchier than its single coil equivalent but still with that classic bright jangle with that little more mid-range than the Mid '63 single coil version. With my replacement Ric® style hum-cancelling Bass pickups, the coils are asymmetrically wound which helps more dynamics with a richer clarity & string definition. A rich, clear, hum-cancelling version of my Mid '63. 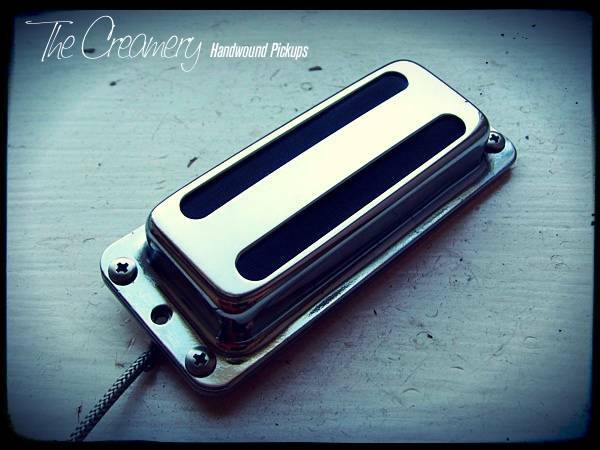 You can find more details of my Creamery Custom, Handwound Replacement Ric® Rickenbacker® and Toaster® Style Pickups here.